Protecting your enterprise's 'blindside' is means protecting your users.This means not just protecting your user population at the line of scrimmage, or perimeter, but on all sides. From drive-by downloads to phishing fumbles, it all comes down to protecting your most valuable player, the end user. 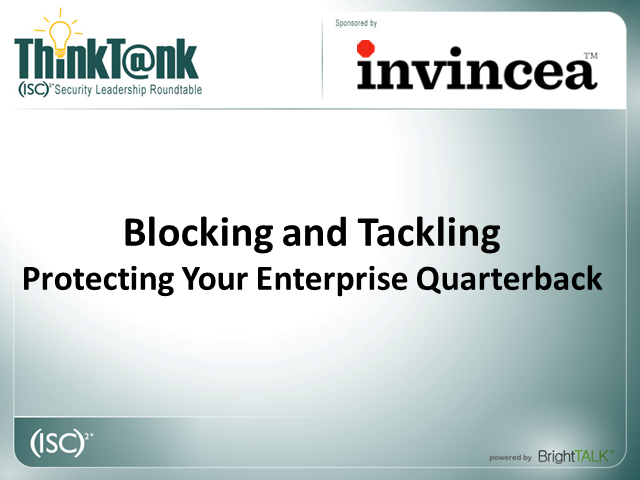 Join (ISC)2 and Invincea on March 22, 2012 at 1:00pm Eastern time for a roundtable discussion on the role of user behavior management and quarantine and how you can protect your blindside, even when you're on the bench.